The No.69 has a body completely made of bakelite. The only metal parts are the internal fuze components. 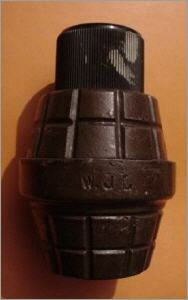 The detonator had to be inserted before use, and these were therefore packed seperately in the box with the grenades. 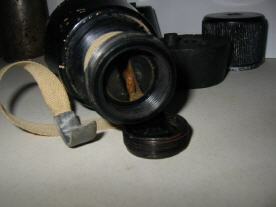 Shrapnell that came off this grenade when it exploded was not really harmful, as the bakelite parts quickly lost speed. 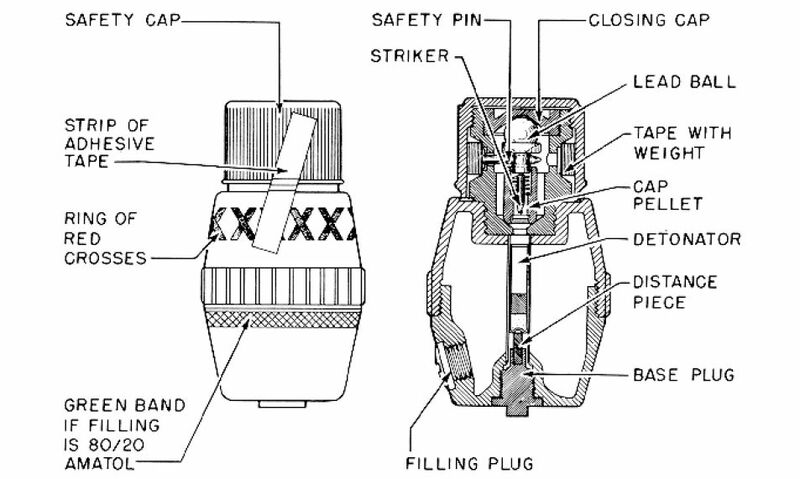 The fuze components had more mass and were the most dangerous when the body exploded. The fuze was a No.247 "always" type Mk1, 2 or 3. 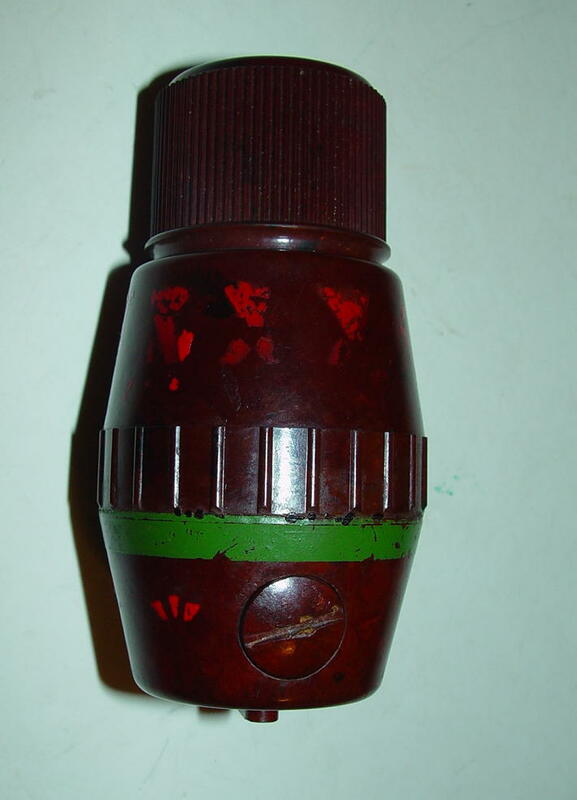 Below: This is the red-bakelite type as made in Australia. 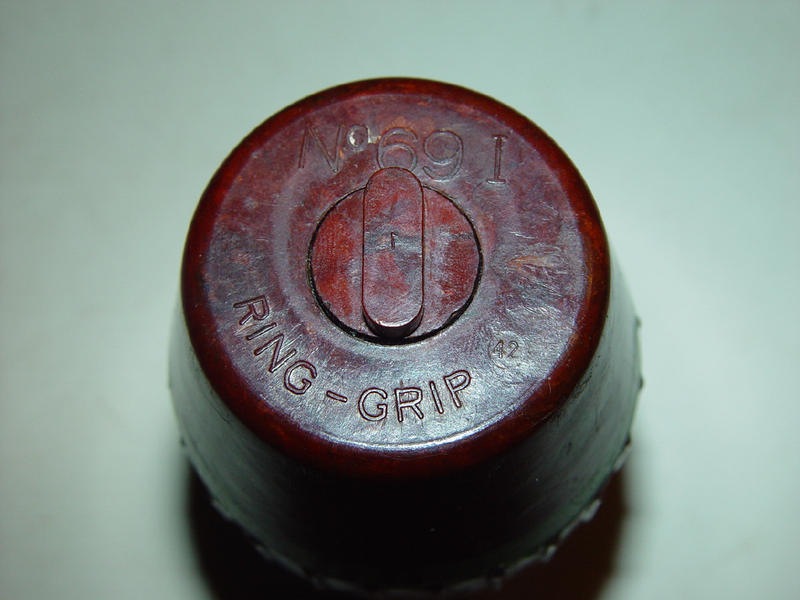 This particular one has an uncommon marking "ring grip". 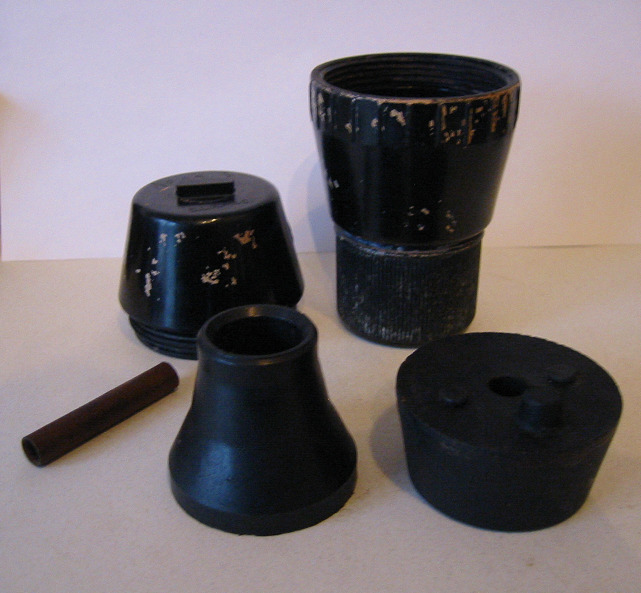 The four photos below show the components of a drill version of the No69. 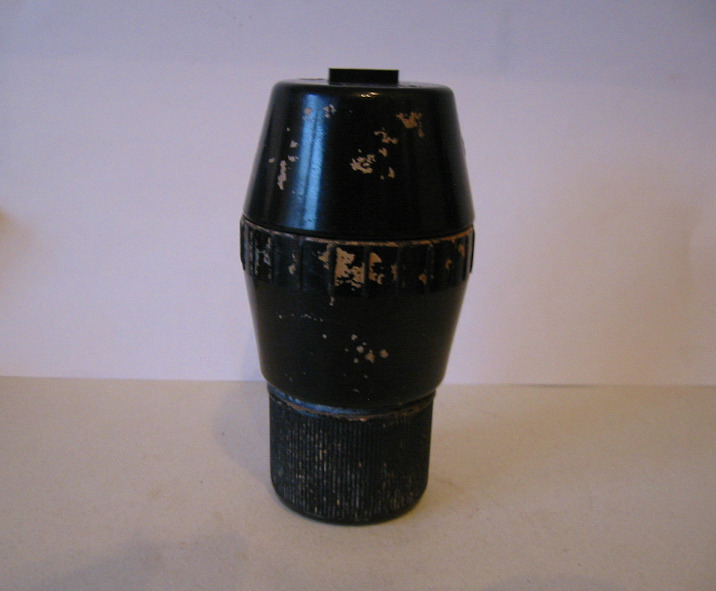 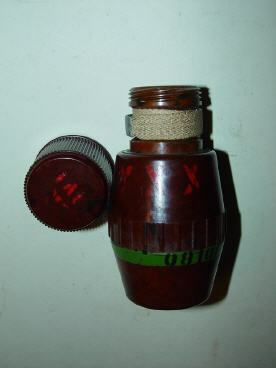 To copy the weight of a live grenade, three bakelite parts were inserted where normally the charge and the fuze would be. 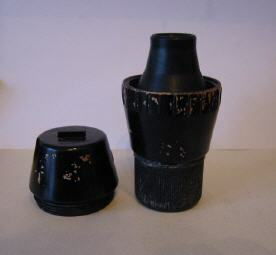 The photo on the right shows a prototype of the fragmentation sleeve. 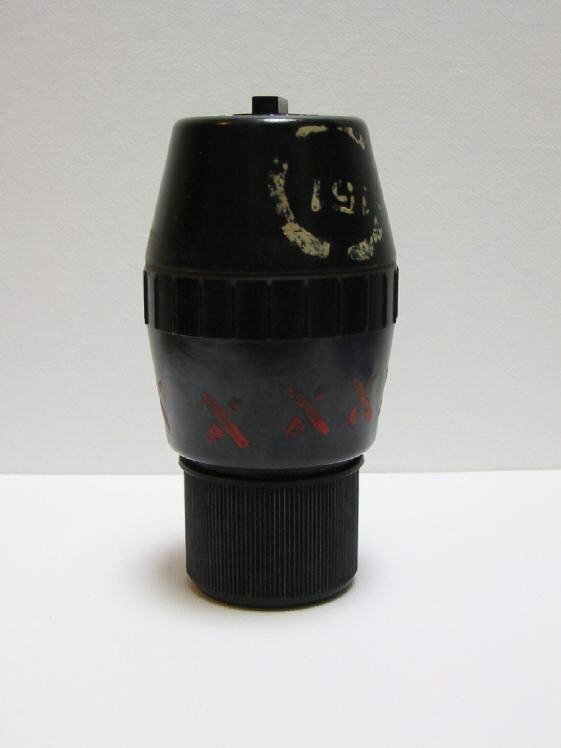 It never made it into serial-production.